When a dementia or stroke limits one's ability to speak, singing in a choir can restore voice and build new social connections. On Performance Today, we profiled two of these ensembles. The Giving Voice Chorus began in Minneapolis-St. Paul, Minnesota. 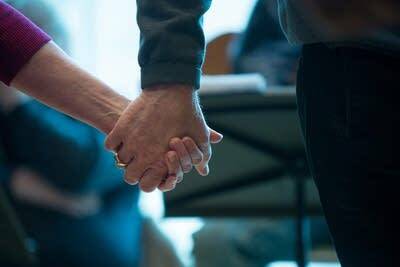 It brings together people living with Alzheimer's or other dementias and their caregivers for weekly choir practice. The group gives a public concert multiple times each year. Stroke-a-Chord is an ensemble just outside Melbourne, Australia. The singers in this group are all affected by aphasia, a language disorder commonly brought on by a stroke.